Rev. Jesse Knox, III has served as Senior Minister of Church of The Good Shepherd UCC since 2011, although his service with the Church extends to 1992. 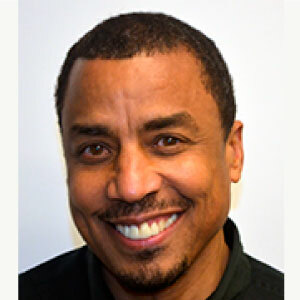 Previous professional experience includes serving as the Acting Director of Ministry Studies for the University of Chicago Divinity School, Leadership Greater Chicago Fellow, Director of the Minority Outreach Project of Thresholds National Research and Training Center, and service as a chaplain at Unity Funeral Parlors. Current volunteer service includes the Chicago Metropolitan Association of the UCC’s Congregational Life Committee, the Property Management Committee of the Illinois Conference of the UCC, boards of the Washington Park Consortium, Embrace Living Communities, South East Chicago Commission, Leadership Greater Chicago Fellows Association and Woodlawn, Washington Park, South Shore. Rev. Knox was previously a member of the boards of Community Renewal Society and the Christian Century. He also served on the Personnel Committee of the Illinois Conference of the UCC. In addition to his Bachelor and Master degrees in Religious Studies and Ministry, Rev. Knox has certification in community and economic development and housing.